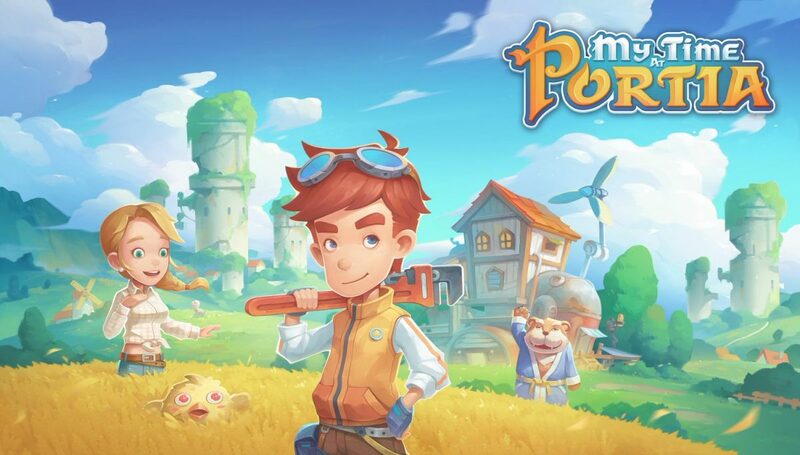 Some genres have games that break the mold every once in a while to keep them fresh – FPS games, Strategy titles, and even the occasional RPG will bring something different to the table to the delight of fans everywhere. Twin stick shooters, on the other hand, rarely switch things up enough to offer anything completely groundbreaking, but fans of the genre aren’t often looking for that. Instead, they want a solid game that gives intense gameplay with rapid-fire bullets exploding every which way, providing a daunting challenge for the player. Nex Machina gives gamers that experience, hitting all the right notes and ticking all the right boxes for TSS fans everywhere. 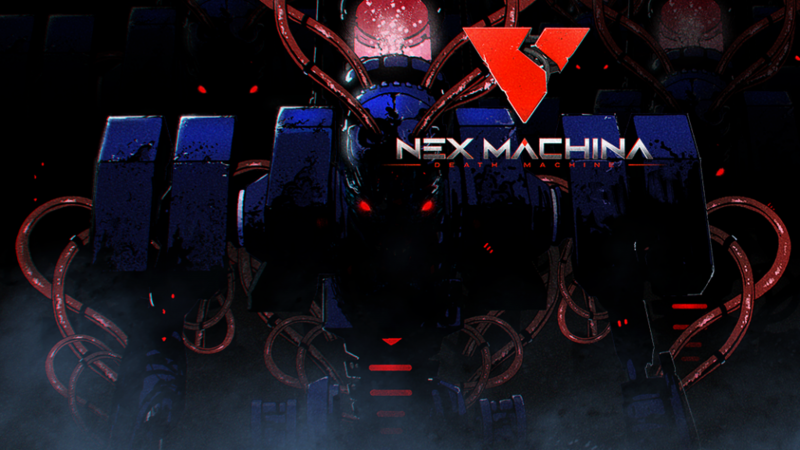 Developed and published by Housemarque for PC and PS4, Nex Machina will immediately remind retro gamers of Robotron 2084. 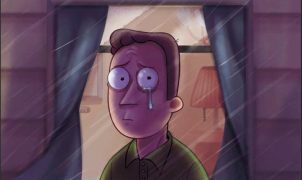 The basic premise is similar, and a quick look at YouTube videos of the latter’s gameplay will bring younger gamers up to speed. Naturally, Nex Machina is an upgrade in many regards, but the fact that it is essentially a nod to a classic shows another strength the game possesses – it’s that classic twin stick shooter title that we’ve all come to know and love without getting overly, unnecessarily complicated. The game opens up in a jungle world, and you are instantly pitted against neon bug-like machines. These baddies only need one shot before they’re obliterated, which is good because there’s a lot of them. Once you clear the first portion, you’re instantly transported to another section of this jungle scene. It may be on the same plane or it may be on a different plane, but however it’s positioned in relation to the last one, it’ll have even more daunting challenges to overcome with even tougher bad guys. Controls are very simple, as with most twin stick shooters, although Nex Machina is definitely best played on a controller as there’s no mouse aim cursor yet. Using a controller, right stick moves your character while the left stick moves and shoots your weapon. There are upgrades and special moves that you collect throughout the game, but utilizing those add-ons won’t distract from all the other controls. Nothing sticks and everything is seamless – which is all-too important in this genre. The graphics are definitely aesthetically pleasing – that neon is like eye candy, and there’s plenty of it. The music is very well done, as it leaves you with plenty of energy to breeze through battles but isn’t annoying or repetitive. Both of these come together for a glorious product that is pleasing to all senses, delighting even those not versed with twin stick shooters with its awesomeness. 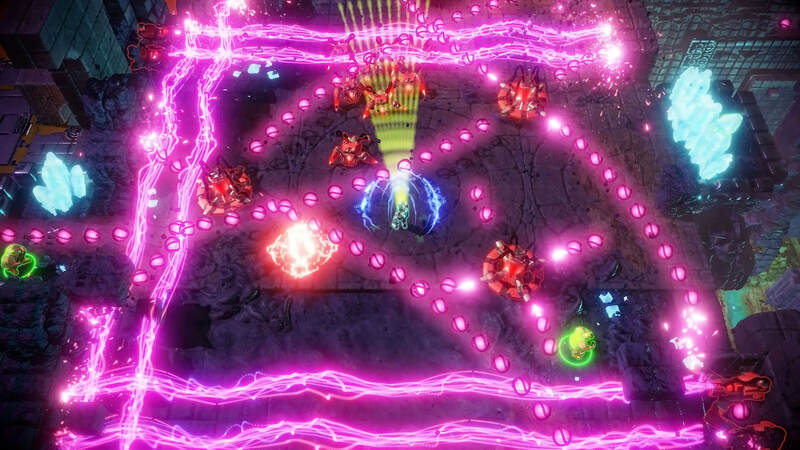 Perhaps the best part about Nex Machina was that there were so many layers to the game. 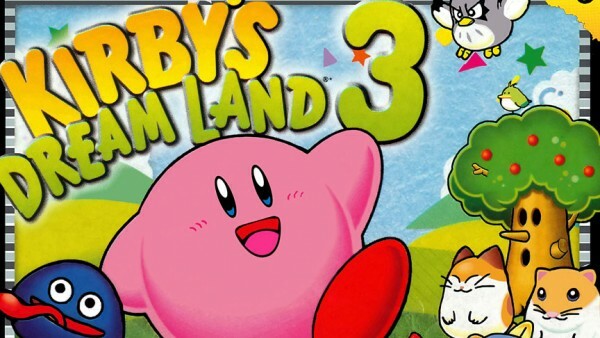 You could just play it to get from point A to point B – start to finish, enter, beat baddies, kill the boss, etc., but there’s more to it than just that. Humans are at every level, waiting to be saved, and saving all available humans before being transported to the next stage earns a multiplier bonus. Going deeper still, there are hidden humans in various stages that aren’t that easy to find, but doing so will yield even more points for those willing to explore a bit. Additionally, there are specific types of bad guys that pop up in special places throughout each world, and killing all of them before they quickly disappear will result in even more points for those who emerge victorious. 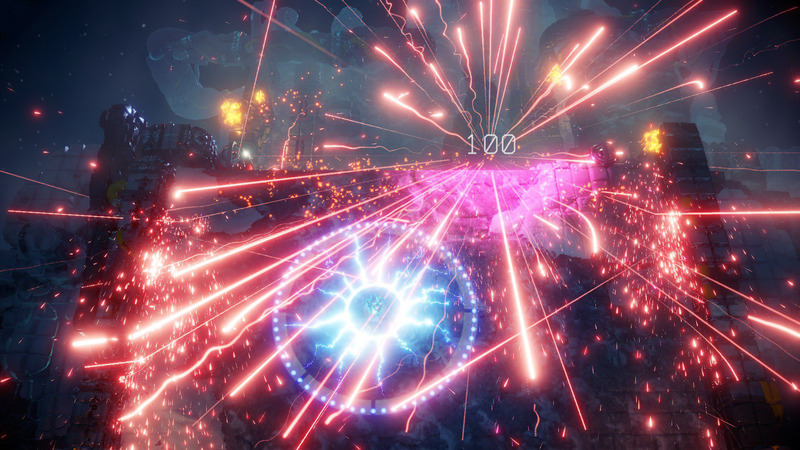 Another really solid factor in Nex Machina has to be the boss levels – they’re intense without being impossible. You’ll still die plenty of times trying to defeat them, but you’re not likely to get at the “tear out your hair and break your controller” level rage. Each boss is pretty unique with different bullets, backgrounds, and fighting styles, so you’ll have to learn and adapt each time. Nex Machina is best suited for any type of gamer with any level of familiarity with the twin stick shooter genre. 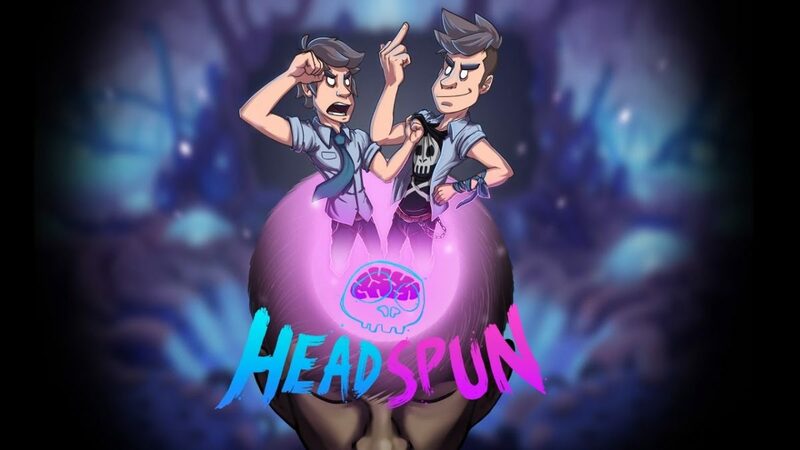 A first timer to bullet hells would dive right in and become addicted right away, while a veteran will enjoy the harder to find challenges that exist in every level. 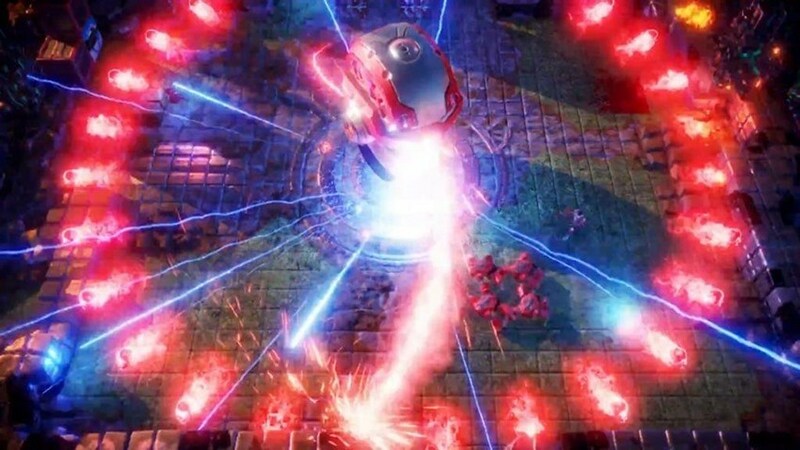 For those of us in between, Nex Machina offers a soothing but exhilarating experience that is good for decompressing after a stressful day at the office or playing together with a bunch of friends. It’s a tribute to the classics with a twist, and it definitely needs to be in game libraries everywhere.